Travelers age 17 and under save $500 per person off this trip. Click here for eligible departures. 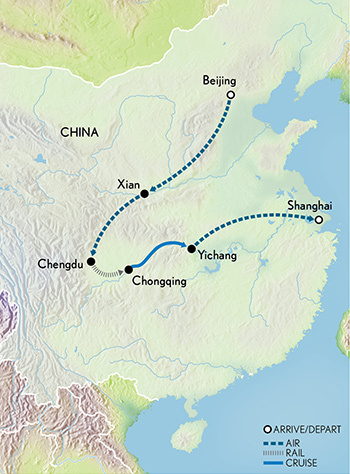 Arrive in Beijing, China’s political and cultural hub, where you are met and transferred to your luxurious hotel. Experience an exciting family adventure through China that takes you atop the Great Wall, into an incredible habitat created just for pandas and down the mighty Yangtze River. First group event: Welcome briefing at 10:30 a.m. on Day 2. Departures are guaranteed to operate with a minimum of two guests.